Disclaimer: The wines were provided by the winery or wine association as samples. Last week, I participated in a #winechat on Twitter. 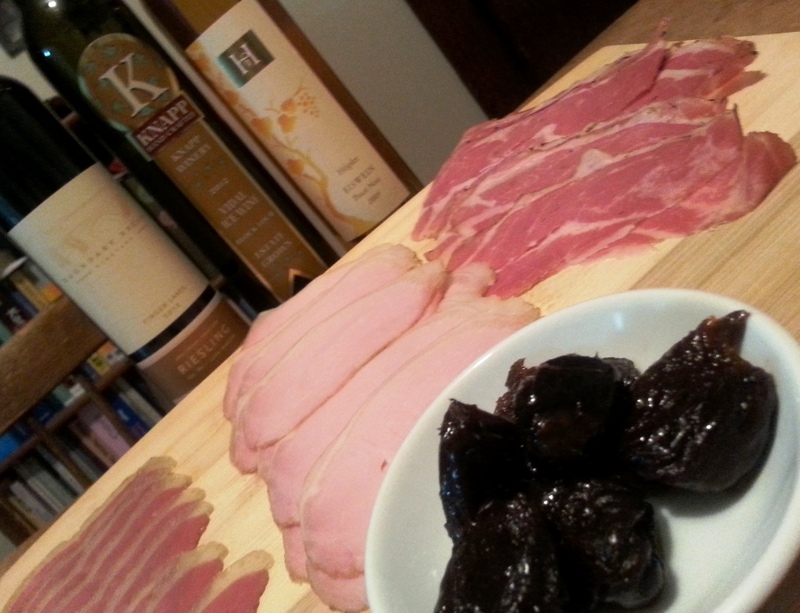 The theme was Eiswein (and dessert wine). 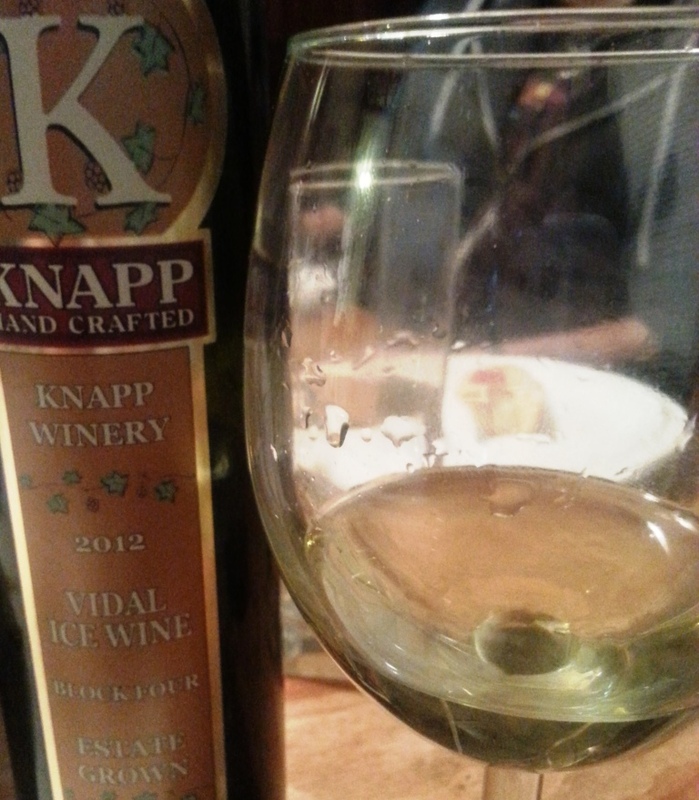 The wines were supplied by Knapp Winery and Boundary Breaks Vineyards of the New York Finger Lakes region, and by the Austrian Wine representatives in the US. At 9pm EST on Wednesday, a group of several bloggers who received samples met with the organizers Protocol Wine Studio, the suppliers, winemakers and others interested folks to discuss the wines as well as ice wine in general. 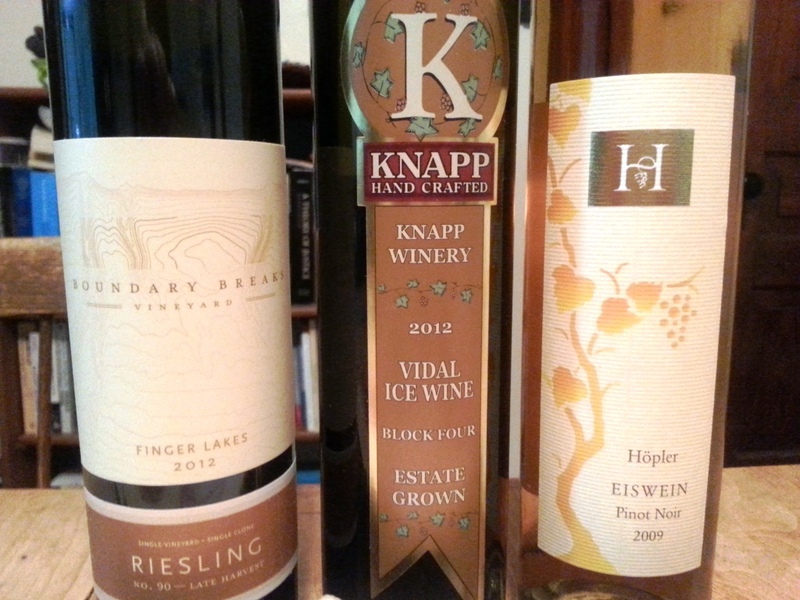 For those unfamiliar with Eiswein (the German word for Ice wine), I wrote a longer piece about it a while back so please feel free to check it out here. 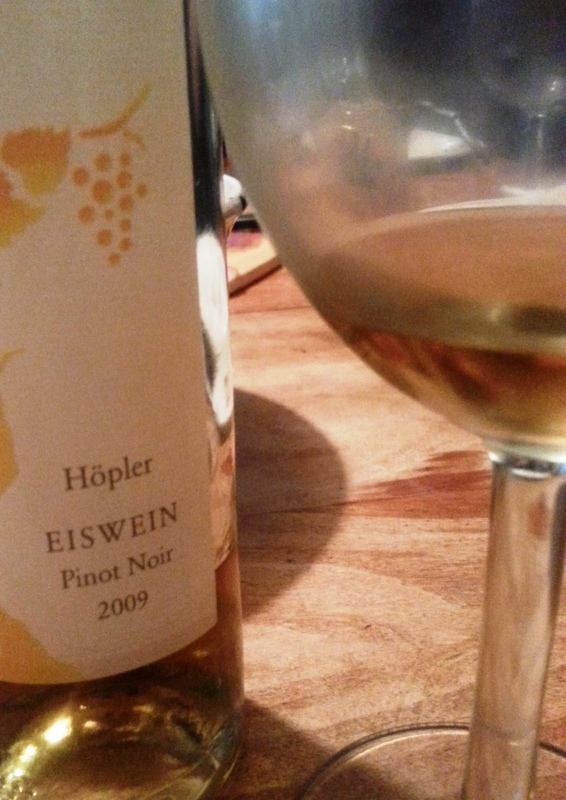 To recap: Eiswein is made from grapes that are frozen on the vine (that’s for purists, like me, some regions, like Quebec, allow freezing off the vine). The grapes freeze, so all the water in the grape becomes ice. When you press these grapes, all you get is minuscule quantities of pure concentrated flavors. Sugar and acidity are extremely present in these wines. They make for some of the rarest wines in the world, and age ridiculously well. We had a few friends over for trying the wines, because of their intensity, I usually only want a small glass of each wine. It is the perfect wine to share. We paired the wines with mostly cured meats from the wonderful Ann Arbor sausage shop Biercamp (duck bacon, Canadian bacon, and a honey/cracked pepper bacon as well as Andouille sausage), cheese (a creamy Delice de Bourgogne, Manchego, goat Parmiggiano, and Roquefort), as well as homemade (by one of our insanely talented baker friends) sweet macarons. 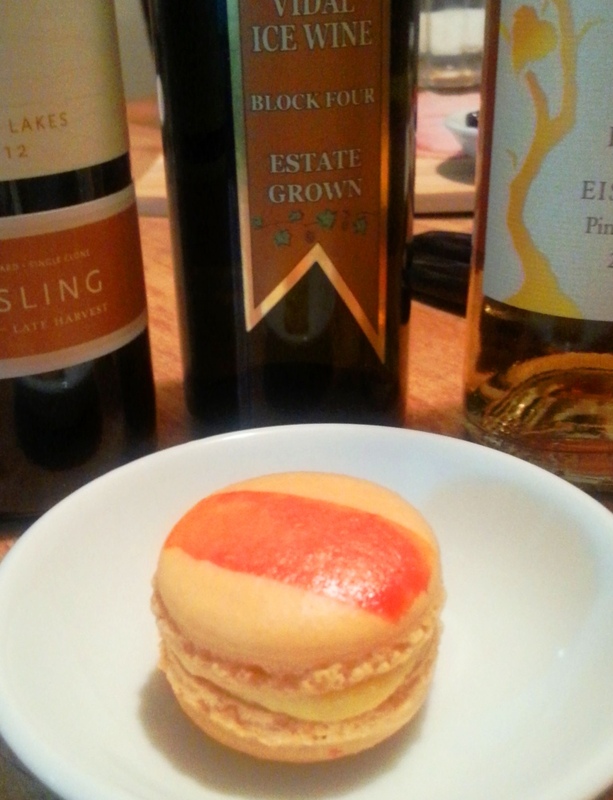 I will write a separate post on what to pair with sweet wines, but for now you should know I prefer salty over sweet pairings. All in all it was a great experience, and I am grateful for the organizers and hosts for letting me participates. The wines were all interesting and showed the diversity there is. The conversation on Twitter was lively and engaged, and I got into some really interesting side discussions about pairings and occasions to drink these wines.